For those of you new to SEO or guest blogging, you may be somewhat confused about how to get started. 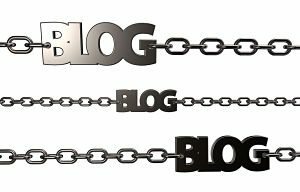 As you may have heard, guest blogging is perhaps the most popular method for building “legitimate” links these days. So, what’s so good about guest blogging? Link building is tricky business. Many link building methods of the past are frowned up by Google and may get your website penalized. Questionable link building methods of the past include things like automated directory submissions, article distribution, private blog networks, forum spamming, and other black-hat techniques. Guest blogging, on the other hand, happens to be one of the safer ways to build links today. Even Google has said that guest blogging is an acceptable way to build publicity for your site. The effectiveness of guest blogging is determined by HOW you do it. How do I find a blog to publish my article? First of all, do not waste your time with low quality blogs or blogs that are not relevant to your site’s topics. For example, if your site is dealing with topics on dogs, find blogs that talk about the same topics. Do not go to a financial blog and ask them to publish your article about dogs. Doing so will certainly throw up red flags with Google. To find blogs related to your topics, you can use a search engine and run a query for “dog blogs” or something similar. Another option is to use a blog directory like BlogCatalog.com or Bloggeries.com, to look for blogs in your industry. As you are finding these blogs, do some research on them. Make sure they are quality blogs with unique content. The last thing you want to do is put your article and link on a blog with no credibility or link juice. This is where some SEO experience helps – knowing how to pick out the good blogs from the bad. Once you have a list of some quality blogs, you can start contacting the owners of these blogs. Ask them if they accept guest posts. Some blogs will tell you upfront whether they accept guest posts or not. And as you start the dialogue with these blog owners, you can ask them if they have any preferences for new article topics. You can also pitch some topic ideas to them and see if they’re interested. If they seem interested, ask them if they have any specific requirements for articles – such as word length, links, images, writing style, etc.. Once you have the requirements, the next step is to write the article. The key to getting your guest post accepted is quality content. Put some thought into it and custom tailor the article for the blog where you hope to get published. If you have good grammar and know your subject well, it wouldn’t be a bad idea to write the article yourself. If you don’t have time to write, then you will have to hire someone. Finding a writer isn’t hard – there are many writer networks to choose from such as TextBroker and WriterAccess. You can also find decent writers on various forums and blogs. The tricky part is finding a writer who understands your subject and is within your budget. When it comes to writers, you get what you pay for, so make sure you don’t opt for the cheapest writing service. It doesn’t have to be an article! I know guest blogging involves writing an article and getting a link in return, but remember your ultimate goal is links and traffic. So, it really doesn’t matter what type of content you use to get that link. Feel free to think outside of the box and get creative. You can also get links by sharing infographics, exclusive industry data, poll data, and even interviews.